Not many people know this, but the United States once had an emperor. On September 17, 1859, a bankrupt businessman by the name of Joshua Abraham Norton walked into a newspaper office and delivered a proclamation declaring himself Emperor Norton I, Emperor of the United States and Protector of Mexico. The papers ran it, and for 21 years the police saluted him, fine restaurants allowed him to eat for free, places accepted his own imperial currency, and the city even provided a uniform for him, tailoring and repairing it whenever needed. When he died on January 8, 1880, 30,000 people attended his funeral. While Amster leads several tours, his most Norton-centric one is arguably his most popular. Dressed as the emperor himself and telling stories about San Francisco’s history, he leads guests from Union Square to places like the financial district where Norton lived, Chinatown where he once stopped a riot by reciting the Lord's Prayer, and ending across the street from where he died. 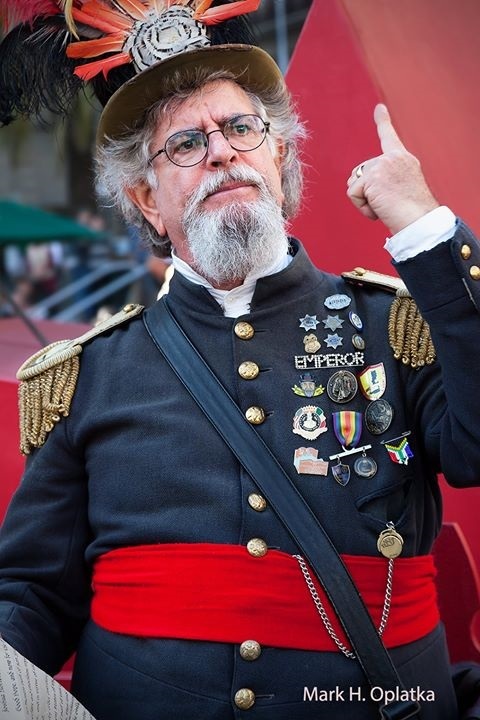 Strangely, despite signing up for the tour, many of Amster’s guests don’t know who Emperor Norton was. He says, “I always ask at the beginning of the tour who is familiar with his story, and in a group of ten to fifteen, I usually only get one or two. 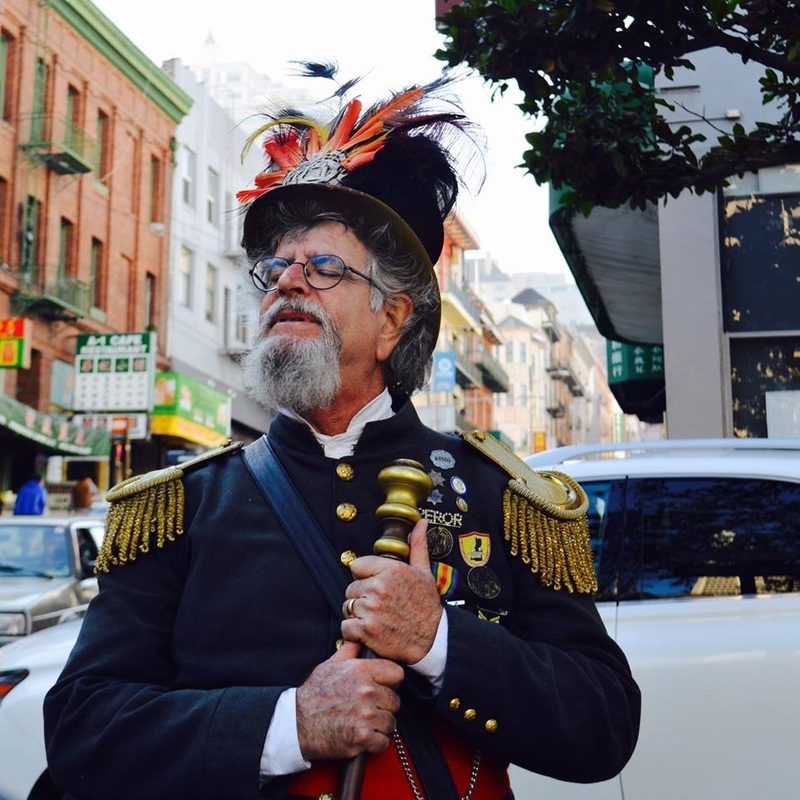 But sometimes we get people who really know his story.” He says it’s not uncommon for people to approach him on the street or during his tours and show off their Emperor Norton ink. “I had one guy come up to me and say, ‘Check this out!’ and pull up his shirt to show me his tattoo. I still have no idea who that guy was,” he laughs. With a theatrical background and a thirst for knowledge, Amster really throws himself into the role. “I just try to immerse myself in knowledge about him,” he says. He explains that he combed libraries, the California Historical Society, and more for every shred of information he could gather. “I read just about anything I can get my hands on about him. I read all the biographies. Two were very good; two were not.” He even got to hold Norton’s walking stick, which Norton would use as he inspected the streets of San Francisco. Despite being a bit crazy, Norton was an incredibly forward-thinking man. Decades before they became realities, Norton had ordered the creation of a bridge connecting San Francisco to Oakland and a corresponding tunnel built under the bay. He also promoted the idea of a League of Nations and stood up for Women’s, Chinese, African, and Native American rights. Amster says that really resonates with him and with a lot of San Francisco citizens. Of course, he also declared it punishable by $25 fine (over $400 today) to refer to San Francisco as “Frisco,” and ordered the abolishment of the Democratic and Republican parties, though Amster says guests still applaud that one. 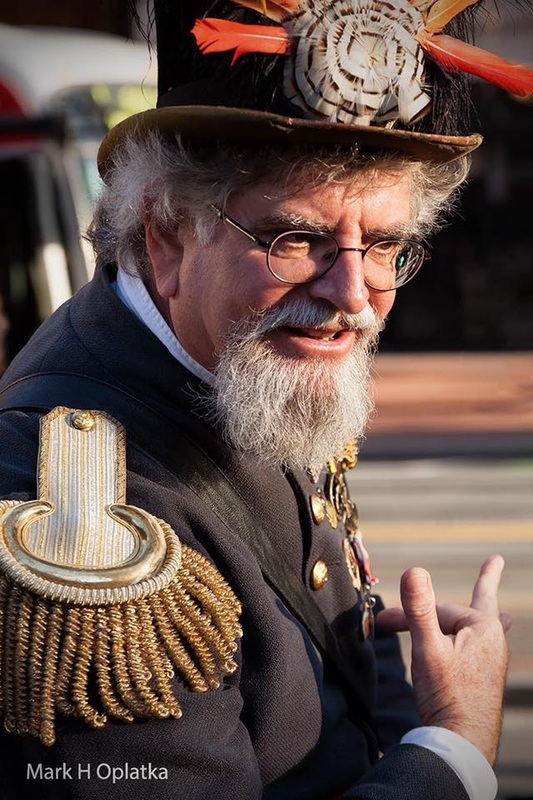 So if you’re in the mood for a tour with a man who is unique, visionary, and maybe a little crazy, Emperor Norton’s Fantastic San Francisco Time Machine tours is a must-do. After all, where else will you get the chance to meet Emperor Norton I, Emperor of the United States and Protector of Mexico?